Our range of products include Office Planner such as Leather Office Planner, Black Office Planner and Fancy Office Planner. Riding on vast volumes of expertise in this arena, we are occupied in offering Black Office Planner. In conformity with the standards as set by the market, these are verified before getting dispatched. More to this, their obtainability with us at market leading rates makes these highly applauded. Premium look CCF Soft Touch Planners/diary with 100 pages. 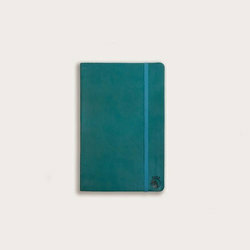 Our journal note Books are soft touch with good outer cover. Simple and chic with plain or ruled paper on beautiful ivory coloured pages having 100pages in total. We manufacture these Diary and Notebooks using modern technical support ads also customize them whenever necessary as far as the client's requirements are concerned. Owing to our experts and rich industrial knowledge, we are keenly successful bin presenting Fancy Office Planner. In accordance with the expansions taking place in this industry, these are made at par with the ethics. Also, their precise finish makes these highly valued and commended in the market. Organiser for Corporate Gifts keep your work appointments and important notes well organised in this smart organiser with a stylish metal ring binding inside. 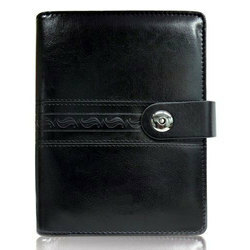 The outside cover closes securely with a magnetic strap to keep your cards, notes etc. safely inside. 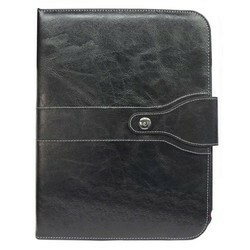 Backed by a rich industrial experience, we have come up with a world class assortment of Leather Office Planner. Sturdy in nature; these are developed with extreme care and flawlessness. Moreover, these are verified to retain its faultlessness. In addition to this, these are offered to our patrons at reasonable rates. Smart Design with Pen Insertion Facility. 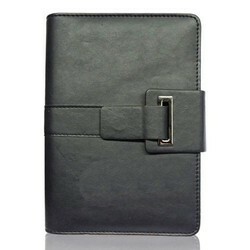 Leather Planner is made up of Leather material. 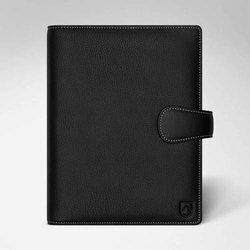 The outer cover is made from genuine Leather with embossing of logo. 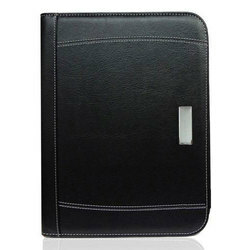 Its cover can be customize with zip, magnetic or standard button opening. We can have customized interior pages with card or pen holder. 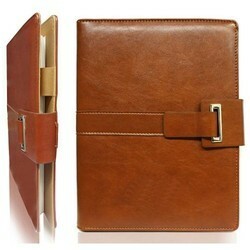 Leather planner with customized exterior pocket. 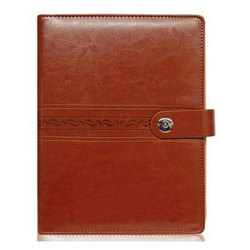 With three-ring binder or standard Stitched planner . With pen loops and micro-perfed ruled pad. Monthly/Weekly Refill Calendar Insert also possible. 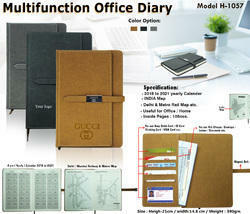 Imported Office Planner Diary with Magnetic Clip and Card holder (Big Size). 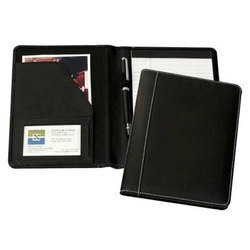 Consists of a Writing Pad, to meet your meeting & daily need. It is multipurpose organizer having different parts like Days to Remember, Calendar, Delhi/Mumbai Railway & Metro Map, India Map.The holder with ring binding, features a stitch binding which ensures better handling, long-lasting durability and smart finish. With the assistance of our dexterous crew, we have been instrumental in offering to our customers an inclusive variety of Office Planner. Enormously acclaimed owing to their optimum finish, these are hugely demanded. Also, their reasonable costs and timely shipment has made us a popular market choice. 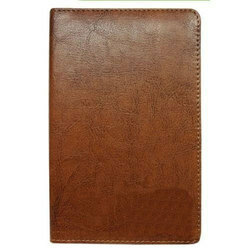 We hold expertise in offering a quality range of Leather Planner. 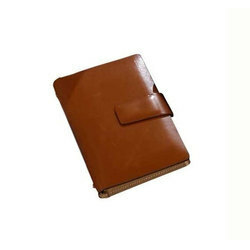 The Leather Planner we offer is widely demanded among the clients for its wide use. CIELO international provides delivery of these unique corporate gifts across country including Mumbai, Delhi, Bangalore, Kolkata, Chennai, Hyderabad. Also we deliver worldwide. Your words will be full of cheer when you pen them down in this equally cheerful diary! 190 ruled pages of A6 sized paper in a natural shade with colored edges come bound within a vibrant PU cover with a horizontal elastic band. 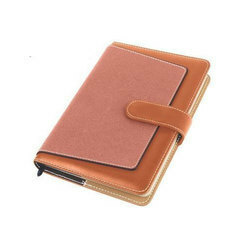 Execute your appointments in style with this smart organizer with a cover that comes with an upper flap and a matching inner cover. The upper flap has 3 slots inside for your cards as well as a slot for an i-card and a side pocket for your notes. 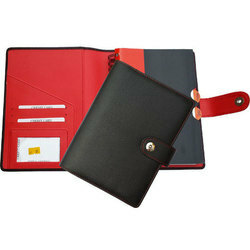 The elegant cover comes with a magnetic strap to keep the organizer securely closed. LG battery inside. 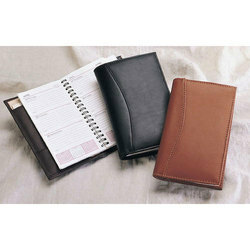 Leather folder is including pen holder, book, card etc. it is easy to carry for office or travel purpose. 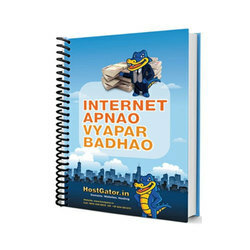 Hard Bound Note Book Planner is great for printing 4C artwork of your design. It comes in hard bound and soft bound formats. Available with custom branding on both side and customized interior pages. Diary is great for printing 4C artwork of your design. It can be made in CCF or genuine leather. Available with custom branding on both side and customized interior pages. A 5 Size CCF Diary. 30 Customized pages. Logo Embossing on 1 position. -Delhi to Metro Rail Map etc.